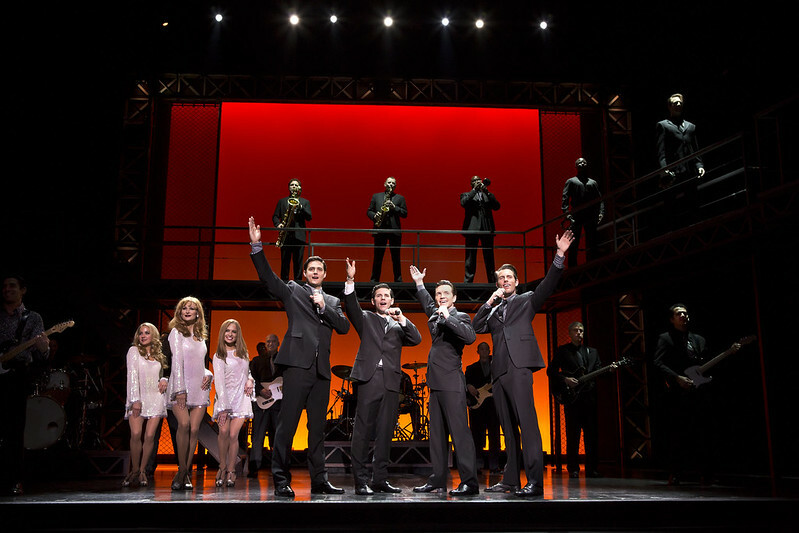 Kicking off the holiday season at The Aronoff is the legendary Broadway show Jersey Boys. 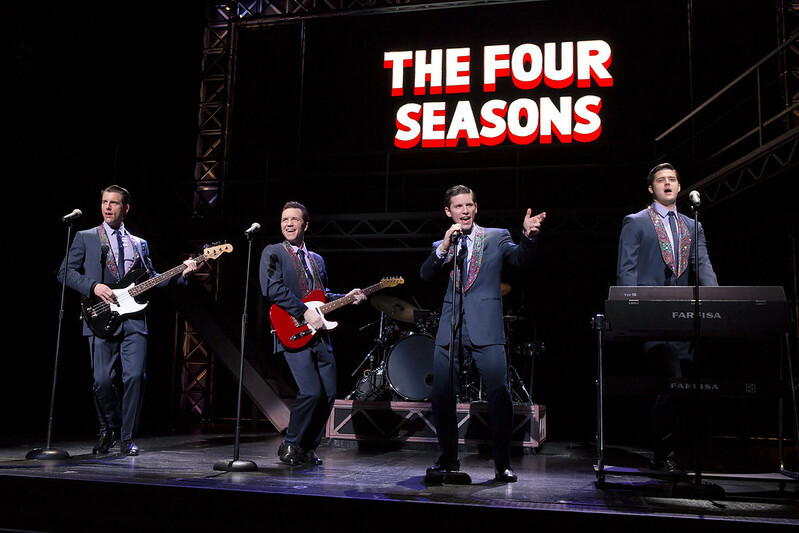 The documentary-style musical tells the story of how a group of blue collared boys from rough-and-tumble New Jersey became one of the biggest American pop music sensations of all time: The Four Seasons. 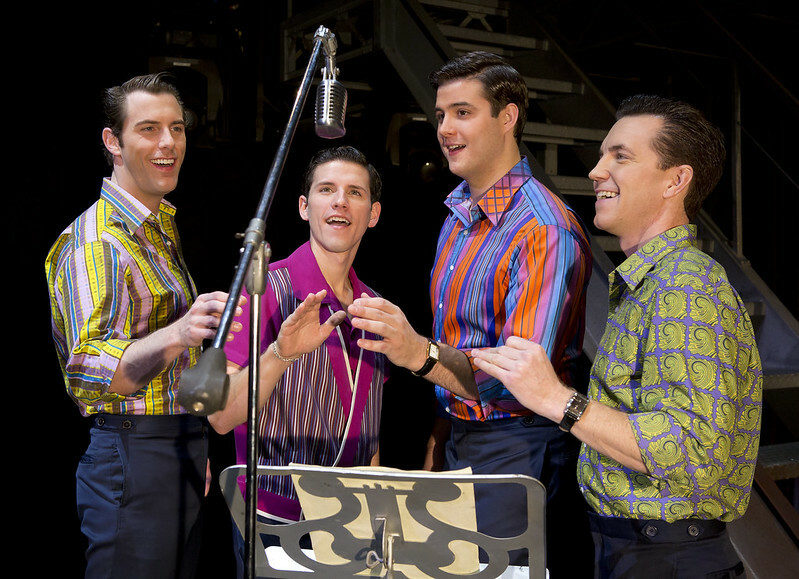 Comprised of members Frankie Valli, Bob Gaudio, Tommy DeVito and Nick Massi, the four musicians wrote their own songs, invented their own sounds and sold 175 million records worldwide - all before they were 30. Jersey Boys comes with some special ties to the Cincinnati area. John Gardiner, who stars as Tommy DeVito, hails from Edgewood, Kentucky, and received his BFA from Northern Kentucky University. Needless to say, he was my favorite actor in the show, plus his character came with plenty of whimsy. DeVito was both the backbone of the group as well as the most tumultuous band member, and Gardiner captures his essence perfectly: ornery, suave, and a tough leader. That's John Gardiner on the right. Most impressive were the frequent and smoothly transitioned set changes which gave the audience the feel of the rush of touring on the road with the band. Props rolled in and out on stage very five minutes, the drum set spun around on a riser, and projections of the on-stage screen were some of my favorite details of the show. 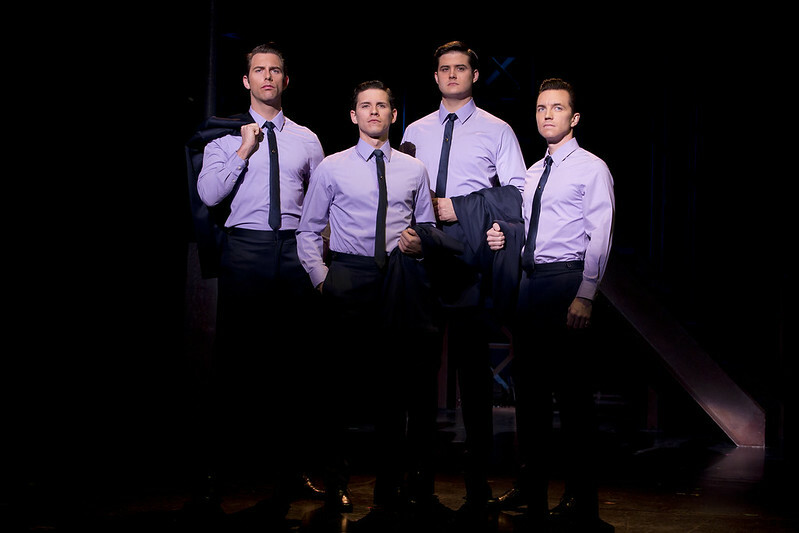 A toe-tapping performance, Jersey Boys will leave you smiling regardless if you're an original fan of The Four Seasons or a first-time listener.